Le 15 Patisserie: What are you baking today?! 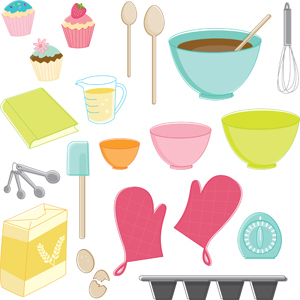 What are you baking today?! Has this happened to you too? That precise moment when you are all excited and ready to bake but then when you enter the kitchen you lose confidence and your nerves get the better of you?! Ah, what an embarrassing moment that is. To ensure that these moments don’t become a recurring feature in your baking endeavours, I am about to list the absolute baking essentials. These are the things and items that you need to keep in mind (and at hand) to ensure that you never walk out of the kitchen frightened ever again. Baking is an exact science; not the Sheldon Cooper kind of tongue-twisting-I-feel-I-am-dumb science, so relax! If you’re tensed and need to calm down, then music is your best bet. Set your music player to your favourite playlist and dance and sing while you measure, combine, mix and whisk. The joy of listening to Adam Levine while you blend the flour and eggs with passionate fervour is something you’ll have to experience to know. Remember, it is just an oven, not your worst enemy. It may have a dozen billion settings and it will trouble you by heating up to a higher temperature than you actually desire, but you can befriend it. Yes, we are not fooling you here. Keep the User Guide handy and set the temperature to what you need it to be. Be nice to the oven, smile at it if you have to (even if that makes you look like a lunatic) and you will be gifted in return with the right heat levels which result in a perfectly soft, well-risen cake. There you go! Add some chutzpah and your personal awesomeness to the above essentials and no one can stop you from being a Baking Queen (of your kitchen). Now off you go to bake one helluva cake! Liked the post. Can you also be a Baking King...?